This is a repost with contact information since it was accidentally cut off in the original. Power Up Tech Academy has an opening for a teaching assistant on Mondays from 3:45-5:00pm. This is a paid position with opportunity for additional hours in the future, including summer. To apply, you must be a current Junior or Senior, know Scratch very well, and have experience working with children (volunteer roles are acceptable). Please send your resume and a short letter outlining why you feel you would be a good candidate for this role, along with your Scratch username, to jobs@powerupta.com. Please make sure your Scratch projects are shared, so we can look at them. The role is available immediately and the position will be filled when a suitable candidate is found. We would like to extend this special invitation to you and your student(s). 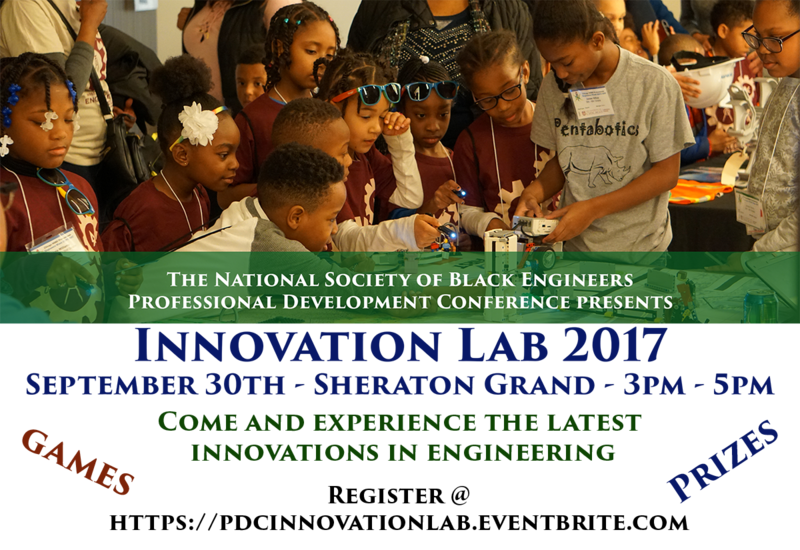 The National Society of Black Engineers is hosting a special event at the Sheraton Grand, Saturday, Sept. 30th. This free event will showcase innovations from Argonne Labs, Project Syncere, Baxter, Fermi Lab, KDM Engineering, Imagine-It Tech and more! Attendees will be able to see the latest in technology play fun, interactive STEM-based games, talk to our engineers and design innovations of their own! CONGRESSIONAL APP CHALLENGE ACCEPTING APPLICATIONS NOW! The 2017 Congressional App Challenge is open for submissions from students in 204+ congressional districts across the country. Students can create and submit their own original apps for mobile phone, tablet, or computer platforms. Apps will be judged by a panel of local community leaders engaged in STEM fields. Winners run the chance of being invited to Washington, DC, and having their apps featured on a display in the U.S. Capitol building. There are currently 204+ Members of Congress from 45 states signed up to participate in this year’s Challenge. To see if students from your area are eligible to participate, click here. More information and submission guidelines are available at http://www.CongressionalAppChallenge.us/. Bit Space is looking for a few interns for their Bit Space summer camps at both Lincoln Square and Whitney Young locations. Interns must be 16 years old. Description: Assisting guides in our maker lab during summer camps. Will be working with kids on projects, assisting with lunchtime and aftercare, and general workshop upkeep. Desired Qualities: Responsible. High interest in making/designing/building. Enjoy working with children. What is the state-of-the-art in the connected car industry, and what are the challenges and opportunities that big data and machine learning can address? Cars are now connected to the internet and car manufacturers are becoming more like software companies, shifting focus from traditional hardware platforms towards the software and services platform, leveraging scalable cloud computing with machine learning and IoT. Learn what BMW is doing with machine learning to address the challenges of journey management and integrating daily activities into the car. The car is not just about going from point A to point B anymore, but rather delivering a holistic experience that revolves around the activities in our daily lives. Car manufacturers are using big data, machine learning and AI to understand consumer behaviors, and preferences for specific cars that they like to drive. Your car may predict when you should leave for work and home, and learn which places you go often, to make the car become The Ultimate Smart Driving Machine. While there will be light refreshments available, feel free to “brown bag” it and bring in food from the outside to eat during the social hour. Hack on State is a 12-hour programming marathon for innovative young developers and creative thinkers to design a software application that addresses a community issue of their choice – ranging from education accessibility and quality to neighborhood violence and gentrification. Teams will be comprised of no more than five students, and will be formed based on a common desire to solve a specific problem rather than by high school. Groups will be able to sign up throughout the day at the Mentor Desk to receive advice from industry professionals. Every successful business leader begins as a student, and the most successful and current innovations begin with technology. Give yourself the opportunity this summer to learn how to start and build a tech company or how to leverage technology to grow a business. Do this all while developing leadership skills, unleashing creativity, and solving real-life problems. The world is at your fingertips – it’s time to create! Join us this summer. Find out more details here. The overall goal of ENTERpreneur is to give every participating student guidance and support that will encourage them to succeed in school, go to college, and become the country’s future business leaders. Apply now for Cohort 4 here.